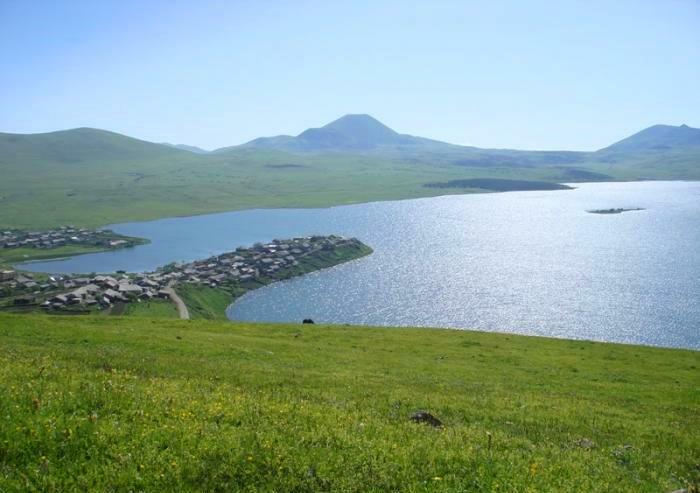 Tabatskuri Lake is located between Borjomi and Akhalkalaki districts In Samtskhe-Javakheti region on the sea level of 1991m (surface 14.2km²). It’s of vulcanic origin, with a maximum depth of up to 40 .2 m (average 15.6 m). There is fishing for trout, barbel, and carp. There is a village near on the shore of the lake. 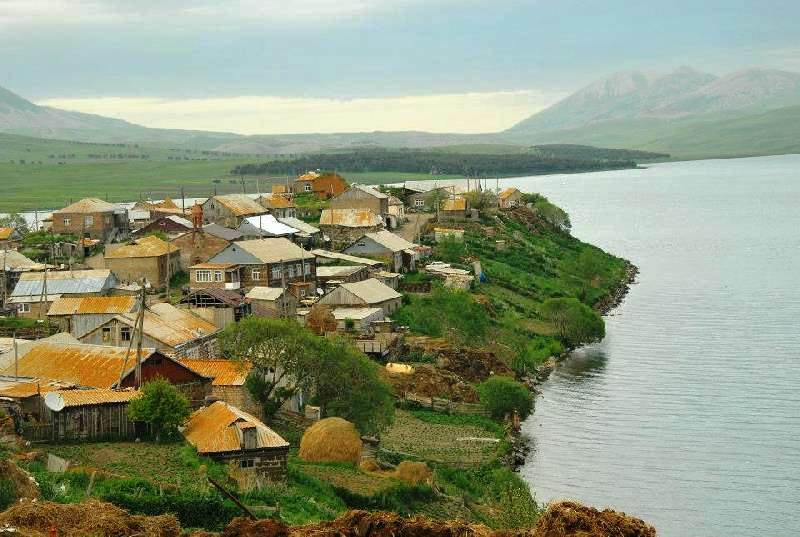 It’s populated by ethnic Armenians who make their living by farming and growing potato, fishing, etc. There is a spot for picnic at the artificial forest near the lake, but it’s always possible to camp or stay with locals and try their cheese and fried potato. There are ruins of small old Georgian church on the semi-island. You can also see small island in the lake. Around the lake there are some inactive vulcanoes. Mt. 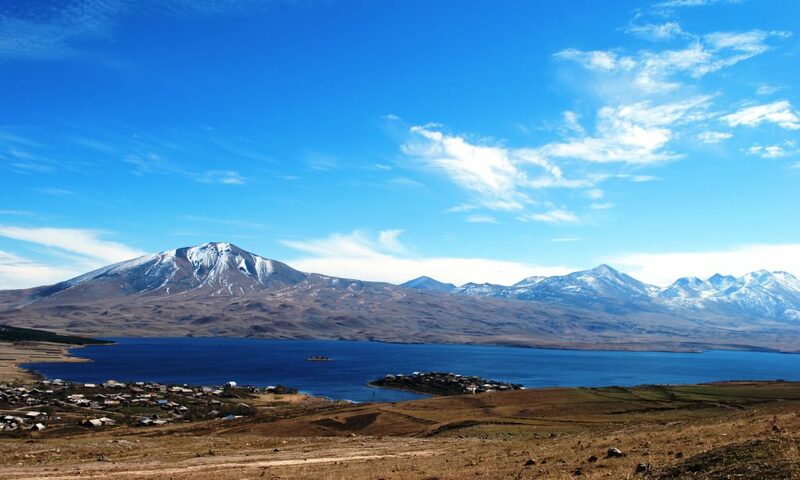 Tavkvetili is 2,583m from the sea level – it’s inactive vulcanoe which can be visited if you take a route from Tsalka. 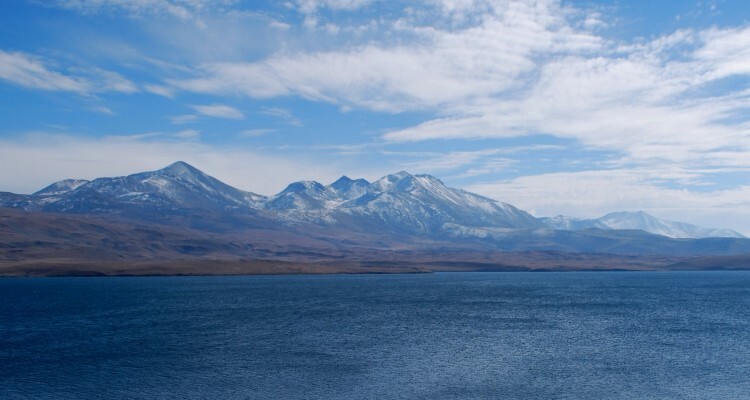 Best Season: the best season to visit the lake is sunny days of June and October when mountains are covered with snow and sorroundings are full green or yellowish. Please note that the photos posted here are taken in different seasons. On this road you can visit Bakuriani and Tskhratskaro pass on the Trialeti ridge (2462) which has beautiful views over Borjomi gorge. On this road there is British Petrolium post (BP Baku-Ceyhan pipeline guards) so you will need to carry your ID/passport. There are restaurants and hotels in Bakuriani (ski resort) and hot baths in Tsikhisjvari village. Also Mitarbi valley can be visited on the way along with Borjomi and Bakuriani if you love beautiful river gorges covered with mixed/pine forests. 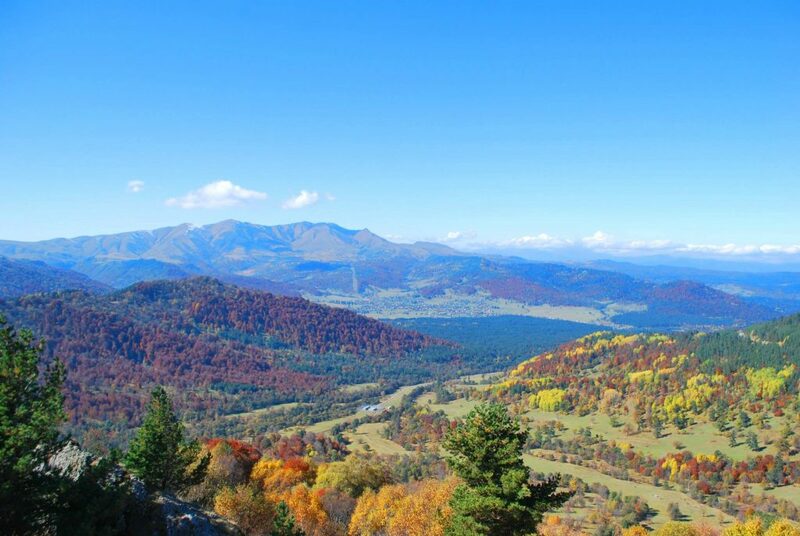 You can see the photo taken from the pass in late autumn with a view to Bakuriani valley. On the way you can see Kvemo Kartli valleys, tsalka canyons, menhirs and megaliths of Tsalka if you are interested in, also as I mentioned earlier, you can hike up to the top of Tavkvetili vulcanoe for beautiful views over the lake. 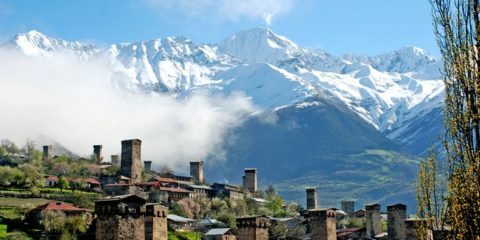 If you are coming from or visiting Samtskhe-Javakheti (such as Vardzia, Aspindza, Akhaltsikhe, lakes or megaliths of Ninotsminda) then it’s the best option for you. Akhalkalaki itself can be reached from 2 sides either through Kvemo Kartli or from Akhaltsikhe. Hope you did not get confused, I would recommend you travelling through Tskhatskaro pass and visiting Vardzia then. Please note that for this trip 4wd (jeep) is preferable. I highly admire your comments and photos. I have been interested in the upper route with the google map exactly and now I am wondering it can be made by a semisuv car like Hyundai creta or tucson not a energetic premium 4×4 jeep. I would like to have your comments from deeply piled up experiences. I am definately sure It will be very helpful. I misprint my e-mail address. Please correct to below. Hi would it make sense for us to go here in April end? Road will not be open yet. 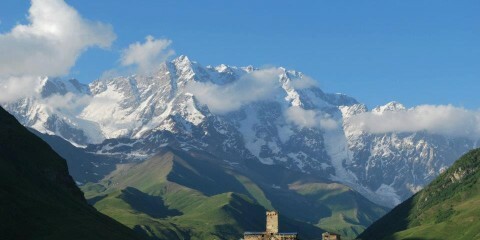 In sunny day it would make sense to do winter trekking or horse riding. You will need 2 days – If cable cars of Didveli ski route are on then its ok and you will make it to the village.If not then it will be harder and you may need to camp at pass ? 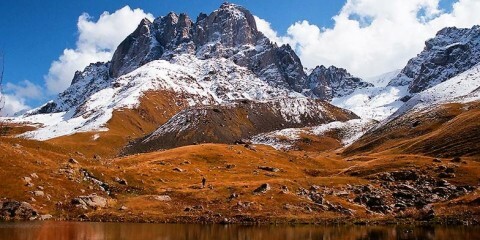 There were some of my friends who did this trek in this period and it was very beautiful. Hi, is it good place to camp ?